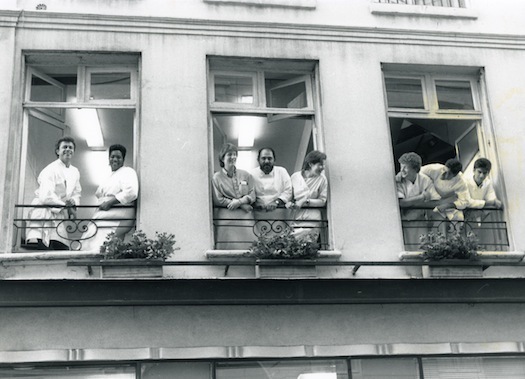 École de Cuisine La Varenne was founded in Paris in 1975 by British-American food writer and cooking teacher Anne Willan. It is named in honor of François Pierre de la Varenne, the 17th century Burgundian author of Le Cuisinier françois (1651), one of the founding texts of modern French Cuisine. La Varenne was one of the first professional cooking schools in France to offer simultaneous instruction in French & English and accredited, professional culinary degrees. The school attracted a global student body, including a large number of Americans, many of whom have become well known in their respective spheres of the contemporary food world. 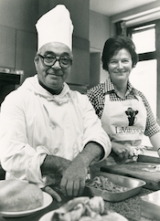 La Varenne alumni include professional chefs, restaurateurs, caterers, food writers and cookbook authors. La Varenne was one of the first professional cooking schools in France to offer simultaneous instruction in French & English and accredited, professional culinary degrees. The school was originally located in the Rue Dominique in Paris, near the Hôtel des Invalides. Courses at Château du Feÿ in Burgundy, France were added in 1988. 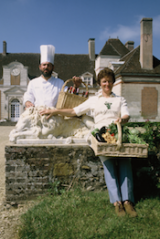 Professional courses ended and the Paris location was closed in 1990; however, La Varenne programs, which included a mix of professional certificate programs and gastronomic avocational courses, continued at Château du Feÿ until 2007. 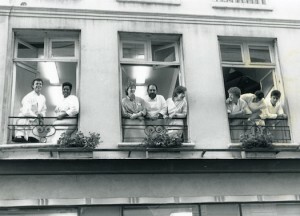 In addition to simultaneous translation into English, and other languages such as Japanese, La Varenne’s innovations included instruction directly from experienced French chefs as well as a unique stagiaire (literally “trainee” in French) program. La Varenne’s stagiare system afforded students a work-study program in which students helped in the running of the classes while earning a diploma. This program was continued at Chateau du Fey where stagiares earned a La Varenne graduate diploma. “Stages” typically included an internship in the kitchen at a noted French restaurant, bakery or chocolatier in Burgundy, Paris or other parts of France. La Varenne’s success led to the opening of satellite locations, most notably, a series of avocational classes held at The Greenbrier Resort in White Sulphur Springs, West Virginia. Classes were held every Spring at The Greenbrier from 1991 until 2008. In addition to The Greenbrier, La Varenne ran brief programs at the Cipriani in Venice, Italy and at Turnberry in Scotland, among others. These classes differed from the classes held in France as they were typically taught by Anne Willan alongside guest celebrity chefs including Michel Richard, Rick Bayless and Julia Child, who was an initial backer and advocate for La Varenne. In 2007, La Varenne’s programs at Château du Feÿ ended and La Varenne relocated to Santa Monica, California. Today, La Varenne offers occasional gastronomic courses, typically held in the Los Angeles area, taught by Anne Willan, alongside noted local chefs. La Varenne no longer offers professional classes or degrees, accredited or otherwise. We no longer offer classes in France, neither in Paris nor Burgundy. There are also no plans to offer courses at The Greenbrier.